We make things easy with our feature-rich, bespoke monitoring totally built around you and your business. Please check out the options below for more details. Our unique Premium Vehicle Monitoring answers the question every business needs to ask. It’s so much more than standard tracking. Premium is a complete monitoring tool rich with helpful features to assist daily fleet management. 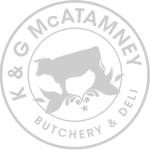 Whatever your business, we can help you highlight where change is needed, showing you how to monitor your vehicles effectively. Track, monitor and immobilise plant machinery and much more with Maploc8’s Trackin the Box. Start with 2 months complimentary tracking and then decide. No monthly’s, no contracts, no reconnection fees. When you are ready, simply choose a period of 6, 12 or 36 months. Trackin the Box offers the most flexible, value for money tracking available with some of the most requested features – such as engine mobilisation – all included. We track and manage over 25,000 vehicles! Maploc8 are the exclusive UK and Ireland distributor for Mapon. Mapon is one of the most trusted brands throughout Europe and have been providing GPS Tracking and Telematics solutions to businesses globally for over 10 years. No exaggerated claims of unbelievable savings. Just facts. With real online tracking, driver behaviour, multiple customised Alerts and Reminders, advanced reporting plus fuel and maintenance control, we know through customer feedback that Maploc8’s Premium Vehicle Monitoring has proven to be not only cost effective but a good saving overall. This is due to time saved by both driver and office, reduced fuel usage due to effective management by using the tools available to you on the Maploc8 system. With increases in vehicle and plant theft, Maploc8 gives the customer much more than live track and trace. Be informed of vehicle movement in an area of concern using geofencing and alerts. For after hours convenience, monitor all this instantly via our iOS and Android apps (which can be used to apply engine immobilisation, if required). Routing and time control, automatically generated reports, vehicle safety inspections and general vehicle management helps companies to increase the efficiency of daily fleet operations through better workflow management. 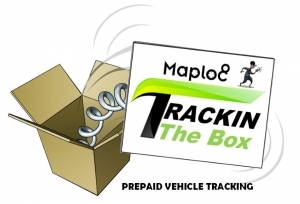 Premium tracking with Maploc8 has become part of our overall vehicle management. Different factors, such as live visual reports, enable us to reduce overlaps and ensure delivery routes are cost effective. Super back up and no hassle.